Back when Russian millionaire Vladimir Antonov was still a flamboyant banker, riding high on his Baltic banks and businesses, he wanted to buy a private jet for $3.5 million and use assets belonging to one of his lenders, Snoras Bankas, as a guarantee. That was before his banks were seized amid charges of fraud, which he denies, resulting in civil charges he’s fighting from London along with an extradition request from Lithuania. The plans for the airplane are just one of the many details involving people connected to the Baltics to come out in the biggest bank data leak in history, or the HSBC files, which showed giant tax evasion schemes the world’s second largest bank was happy to encourage and conduct via its Swiss subsidiary. The information has prompted tax probes, prosecutions and attempts to recover lost tax revenue around world, though not yet in the Baltics. The Estonian, Latvian and Lithuanian tax authorities have all sought information on their residents contained in the files from their French counterparts. So far only Latvia has been unable to get access to the information. The data leak occurred in 2008 when a former employee-turned-whistleblower at HSBC named Hervé Falciani gave the database of over 106,000 clients to French authorities. In 2014, the French newspaper Le Monde gained access to the data and shared it the with the International Consortium of Investigative Journalists. 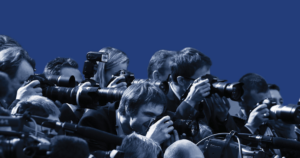 As an ICIJ member Re:Baltica is the only Baltic media outlet which was given access to the data covering 171 accounts belonging to clients related to Latvia, Estonia and Lithuania. The related accounts hold a little less than $240 million. Almost half of the “Baltic money” in HSBC is related to people from Latvia. About three quarters or 77% of the “Latvian money” is linked to one account: Volga River One Capital partners L.P. The files name Olegs Fils and Ernests Bernis, who regularly feature near the top of Latvia’s millionaires list and co-own ABLV, the country’s biggest locally owned bank. Bernis and Fils via a bank spokesman explained that from the total $94.4 in this account only $5 million belonged to ABLV. In 2006, ABLV put the money in the private equity fund, Volga River One Capital Partners, which intended to invest in car manufacturing, and wholesale and retail trade companies. According to the bank, Bernis and Fils have made no personal investments in the fund. The investment has been included in the bank’s reports “since the first day” and those have been regularly audited as required by law, the bank said in the statement. Also, the owners and management of oil transit company Lat-West-East, which is related to the ex-KGB officers Yuri Shabashov and Vladimir Komogorcev and was a local representative of the oil firm Yukos, held money in HSBC Switzerland in the beginning of the 90’s but closed the accounts before the data leak. The largest shareholders of Tabakas nams, the Fels family, had deposited $739,484.42. 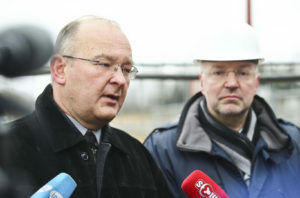 The former owners of RD Electronics, Vitalijs Gotlibs and Rahmiels Deics, also had an account which was closed by 2007. 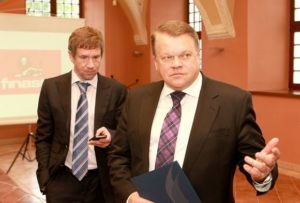 Latvian businessman Ivars Strautins, the vice president of Latvia’s employers association LDDK, held $121,366.66 in the bank. Strautins said he deposited the money in the account of the bank’s U.S. branch whose name he could not remember and which later was transfered to the Swiss branch of HSBC without asking for the client’s consent. 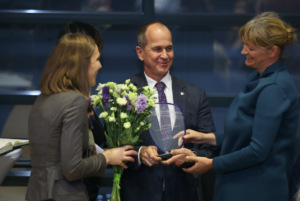 “I established it in the beginning of the 90’s for emergency situations when Latvian credit cards did not work abroad and deposited a few thousand, and added a few every year and so it grew,” Strautins said. “But when they said that they consider clients with $3 million and that I will have to pay extra to keep money there, we severed the relationship. I really felt like a nobody”. The account lists his profession as an oil trader. The rest of Latvian account holders are a little known private individuals. Latvia’s inland revenue service has requested data about the account holders from the French tax authorities, but have yet to receive it, it said via a spokesperson. Among the Lithuanian names, both former shareholders of Snoras bankas, Russian Vladimir Antonov and Lithuanian Raimondas Baranauskas, appear. The Lithuanian government seized the fifth biggest lender in the Baltics in 2011 amid concerns that it was engaged in illegal operations and discovered the assets worth millions missing. After that, Snoras’s Latvian subsidiary, Latvijas Krājbanka, also collapsed. Both Antonovs and Barnauskas, are currently in London, fighting Lithuanian extradition requests. The data suggest that there were at least three accounts connected to Antonov in HSBC. The largest amount of money, more than $65.5 million, was in the account of Snoras bankas, where Antonov is listed as ‘beneficial owner’ or ‘BO’. In another piece of leaked data, the same amount of money is indicated under Baranauskas’ unique ID number. Also, Antonov had a personal account with nearly $1.86 million in it. The third account, according to the leaked data, belonged to Panatrones Holdings Limited: a Cyprus-based offshore linked to Antonov. Panatrones Holdings Limited was in debt to HSBC of nearly $21.46 million at the time. 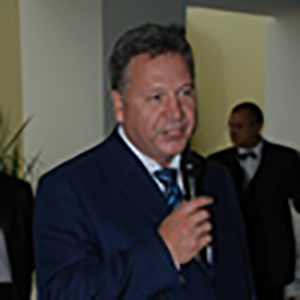 Maxim Anchipolovksiy was a member of the Supervisory Board at Snoras and appeared in management of several other entities linked to Antonov. It is unclear, if the jet deal was finalized. However, public sources indicate that Antonov did have a private jet. The Central Bank of Lithuania decided not to comment on the leaked information from HSBC. Some suspicious activities related to the accounts in the Swiss banks have been mentioned in the information which Lithuania presented to the Westminster Magistrates’ Court requesting Antonov’s and Baranauskas’ extradition. It stated that orders relating to the purchase and sale of securities were given to Swiss banks by telephone, without proper records in the SWIFT or in another systems used to register the bank’s transactions. 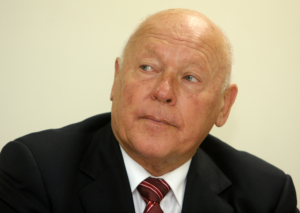 Also, one of the witnesses, Aušra Ižickienė (referred to in court documents as AI), Snoras chief legal counsel from 1999 until the bank was placed into the administration, confirmed to the investigators that there were Swiss accounts covering about 10% of the bank’s total assets. She insisted that they were not controlled by Antonov and Baranauskas, but are ‘at the disposal of Snoras’, so it would be wrong to assume that they have been stolen from the bank, her statement in the court documents says. After leaving Snoras, Ms. Ižickienė was employed in a law firm that represented Antonov and Baranauskas in Lithuania. According to the document, she ‘was made redundant in January 2012 and after a period of unemployment, she joined Baltic Legal Solutions, the firm of lawyers acting for Antonov and Baranauskas in collateral proceedings currently ongoing in Lithuania relating to Snoras’. Attempts to reach Antonov and his lawyers in London were unsuccessful. In Guardian they explained that added that he held his Swiss accounts “for business reasons and because Swiss banks provide a better level of client care and are much more flexible than any UK banks”. Another influential client from Lithuania was Saulius Karosas – a Swiss resident, frequently said to be the richest Lithuanian businessman, outnumbering even Nerijus Numavičius, the main shareholder of the Maxima retail network. 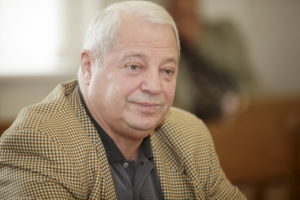 Karosas is the main shareholder of small local bank, Medicinos Bankas, but is also involved in oil trading and has close ties to Lukoil’s leadership. The leaked data links Karosas to accounts of two Ireland-based companies: Western Petroleum S. A. and Sundora Ltd. Both were previously listed as shareholders of Medicinos Bankas. Now, both companies are dissolved and their accounts in HSBC closed, thus the amount held there is unknown. However, the name of Western Petroleum still appears among the bank’s shareholders, since Mr. Karosas owns several companies with this ‘Western Petroleum’ in the title. According to the official information of Medicinos Bankas, Mr. Karosas owns 88.6% of the bank’s shares, and 9.87% belongs to Western Petroleum Ltd.
‘We would like to emphasize that neither Mr. Karosas nor Western Petroleum are participating in the direct management of the bank. However, this is where our competence ends. The questions are not related to Medicinos bankas, therefore, we are not the addressee for these questions,’ the bank said in the statement to 15min.lt. The Lithuanian Tax Inspectorate suspects that some of the HSBC clients may have been evading taxes. ‘The Tax Inspectorate is analyzing the information about our taxpayers’ accounts in HSBC and looking into the origins of these funds. Although one might say the information is a bit outdated, this data helps us in assessing particular individuals’ risk of tax evasion and, possibly, illegal assets,’ the deputy chief of the Inspectorate Artūras Klerauskas said. The data leak from HSBC caught the attention of the tax inspectors when they were published and Lithuania requested data from the French authorities. According to our sources, the French authorities agreed to provide additional information on HSBC’s Lithuanian clients to their Lithuanian colleagues. From the Estonian files, Peter Harry Kandimaa (69), an Estonian who grew up in Sweden and who has made remarkable achievements in the advertising industry, had the largest amount of money in his account. According to the documents, Kandimaa’s account held $4.1 million, though he disputes it. “I would be extremely happy to ever have had that amount of money,” Kandimaa said. He added that he only had Swedish kronas and stocks on his capital insurance account and according to his words, no more than 6 million SEK (639 489 euros) at a time. Kandimaa says he has nothing to hide and his HSBC account is just one many he has offshore, also in Monaco and Luxembourg. “The Swedish government knows exactly where my money is,” he stated. Yet he is not secretive about the fact that through the HSBC account he had a chance to avoid Swedish income tax. The second most well known entrepreneur who appears in the leaked bank data is Francis Anthony Howard (56), an Englishman who used to be in Estonian real estate and the furniture business. His account in HSBC held $315,820 dollars. Howard now resides in Spain and is a shareholder in ClearWorks, South West Holding and Nantucket Holding companies. He did not answer any of the multiple enquiries about the money related to the HSBC account. Peter Romanoff Larens (67), a Danish entrepreneur, is another foreigner who has had business in Estonia and an account in HSBC with $689,591 dollars. Larens’ Eurodek became the biggest oil transit company in Estonia in the early 2000’s. Most of the companies in his network have now been sold, united and their ownership has been moved to Cyprus and the Netherlands. 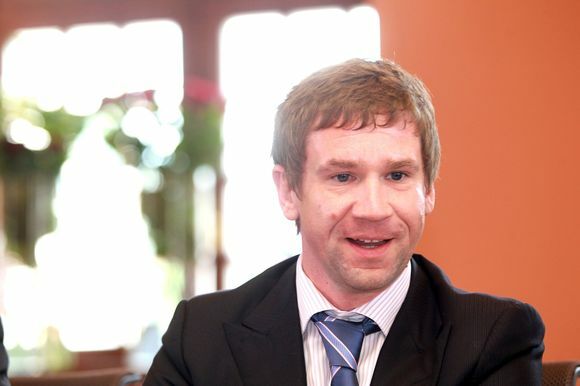 The most well known businessman in Estonia to have had his name appear in the HSBC leaked data was former Soviet Union cyclist Oleg Ljadov. He died of cancer in 2013. Though there are no specific documents in regards to Ljadov’s account, his name does appear in the data due to other accounts Ljadov may have been connected to. 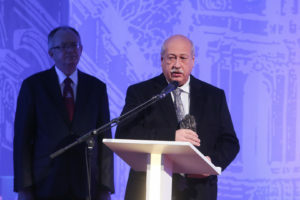 In 2012, he and other well-known businessmen Ljadov received suspended sentence for his participation in a scheme to set up someone else for an assassination. Estonian tax administration confirmed that it has received the required assistance from the French tax authorities, but refused to say more due to the confidentiality of the tax issues.